I am writing an article for Fall 2014 Spin-Off Magazine on One-of-a-Kind spinning wheels. I am soliciting photos. I am posting a guide for photo taking and a photo release which need to be returned with any photos. 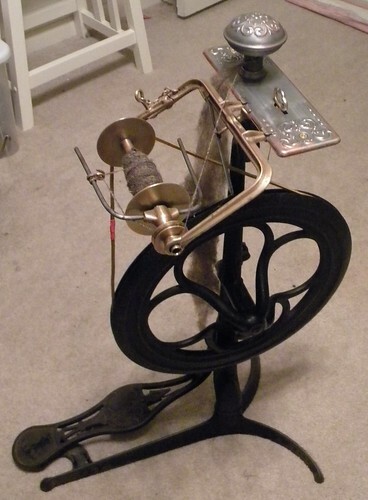 The wheel below is a OOAK spinning wheel I created from a foot powered dental drill and an antique Victorian door knob and back plates. CLICK HERE to see Foot Powered Dental Drill Spinning Wheel Video.